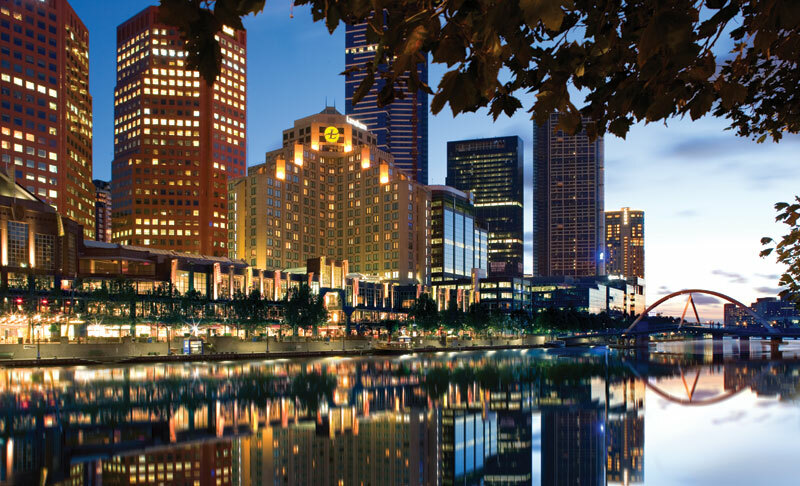 Once upon a time, three fair ladies planned a trip to The Langham Melbourne, a faraway place in which princesses are guaranteed to be pampered in peace. But even though there’s not a pea in sight, Lisa Perkovic is surprised to find deep slumber does not come easy in this enchanting ivory tower. Choosing a hotel for a girls’ weekend is serious business. Shoppers want to save their dollars for chic boutiques, night owls need inner-city action and the frazzled want to relax and rejuvenate. 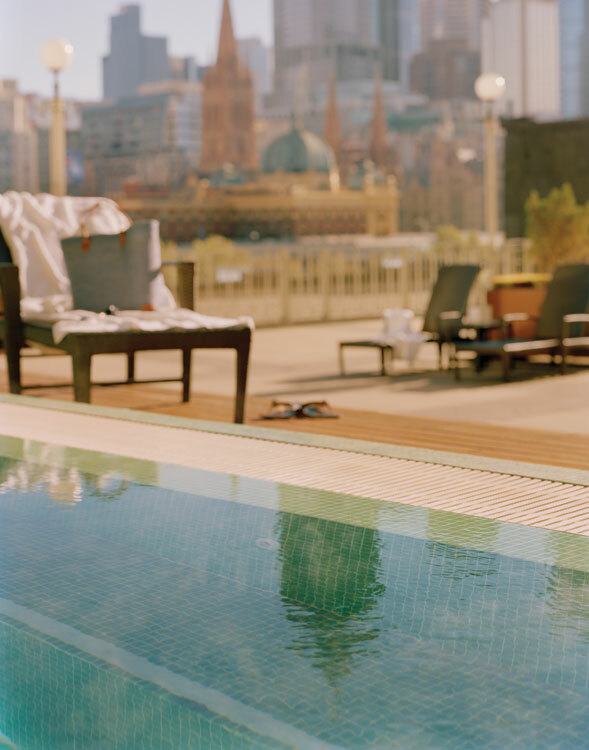 A recent long weekend whirlwind stay at The Langham Melbourne seemed like the perfect middle ground – extravagant enough for the shopper, close to late-night city haunts for the nocturnal and, most importantly in my opinion, loaded with enough amenities and facilities to restrain us from ever needing to leave. 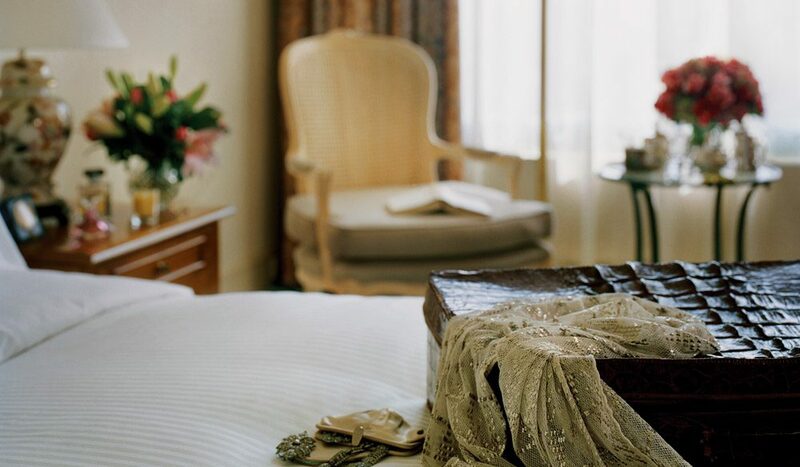 In true fairytale fashion, everything is not as it seems when you arrive at The Langham. 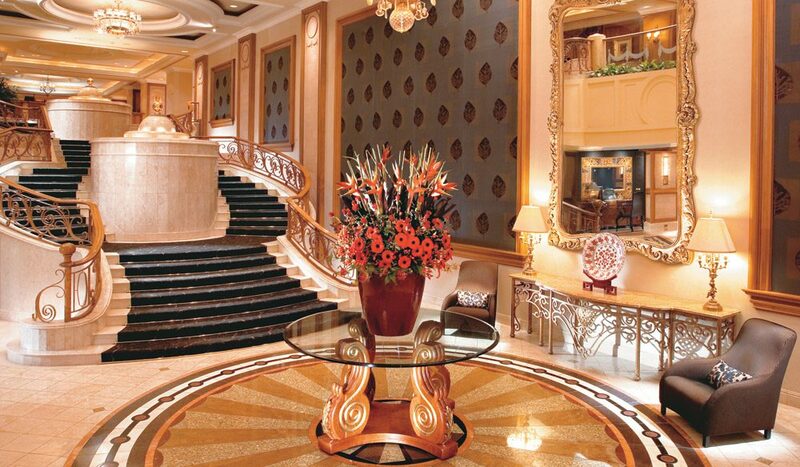 The somewhat harsh exterior gives way to a lobby so opulent you’ll want to immediately whip out a tiara. Sparkling water features, marble staircases and gold gilding have us giddy with thoughts of the four-poster beds, crystal chandeliers and French bubbly to come . . . but expectations may have been running a little too high. Perhaps as a salute to the first Langham London, circa 1865, our room is sparse and spare with not a four-poster in sight. Restrained English finery takes precedence over French decadence. Our chunky TV seems out of place in an industry dominated by flatscreens – and in fact I believe spanking new 42-inch LCDs have since been installed throughout – nevertheless, the pre-popped champagne cork lying on the floor is definitely a remnant of someone else’s good times, not ours. Undeterred, we three princesses decide to look on this as a cue for the appearance of some bubbly of our own. Sipping champagne in our oversized bathrobes, we discover our Classic Guest Room has a strained neck view of the Yarra River (the cost of a River Room would have cut too far into our shopping budget). The location of The Langham, set just off the Southbank precinct, is worth the high cost. 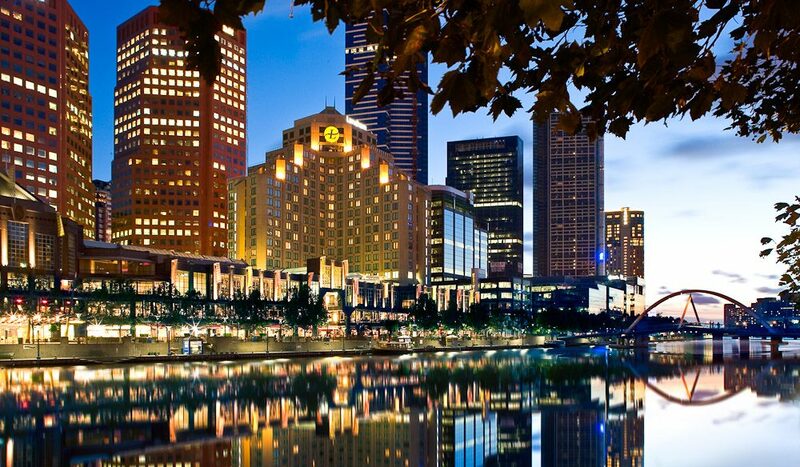 An ideal two-minute stroll along the river will get you to Flinders St Station, and from there the entire city is just a tram or train ride away. It’s also close enough for a quick and unobserved getaway at the end of a night out – especially if thoughts of enormous emperor pillows enter your head, as they did ours, and before you know it you can be settling down in a cloud of soft linen luxury. The Langham’s somewhat harsh exterior gives way to a lobby so opulent you’ll want to immediately whip out a tiara. Sadly, we three Sleeping Beauties didn’t have long to slumber, as our breakfast was delivered an hour earlier than requested – not a disaster on the face of it, but it did mean that our poor unlucky room service hostess was greeted by three ugly and rather grumpy stepsisters. And the fairytale gripes don’t end there. It was as though there was a no-rest-allowed policy in place during our stay. After the unfortunate room service mix-up, we settled for brunch along the river on day three – but a spot of 9am vacuuming made it clear The Langham had other plans. Worn out princesses always need a bit of pampering, and The Langham’s Chuan Spa was up to the challenge with sauna, saltwater pool, Jacuzzi and an extensive treatment list. The large outdoor terrace has a great view across the city, which is fortunate, since the slightly dated wicker deckchairs and tiring foliage probably couldn’t sustain your interest alone for very long. Luckily, the hotel’s Melba restaurant is more extravagantly adorned. 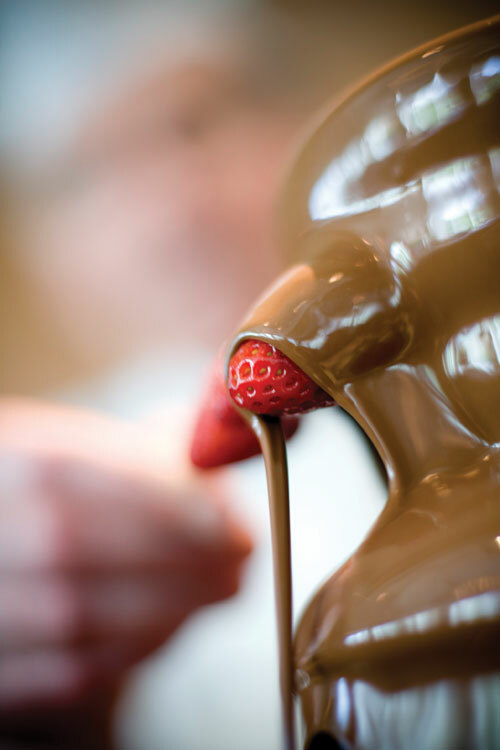 Tandoor oven, wok and sushi stations, seafood bar, rotisserie and a chocolate fountain that flows even at breakfast – it’s a feast for the eyes as much as the appetite. While there is an a la carte option, the buffet, available for breakfast, lunch and dinner, is the more popular choice. There’s no question that from the ground up, The Langham exudes old-world glamour. The impressive lobby harks back to another era, one of ballrooms and butlers (and, in fact, a butler is on hand if you’ve booked the Presidential Suite – three plasma screens, dining, lounge, study and guest rooms; it’s a space that accommodates an entire entourage and is where many modern day princesses have held court). But I can’t help thinking that a stay here is rather like a jaunt on a cruise ship. The décor in all public areas and the Presidential Suite is pristine. The grand piano provides accompaniment to an afternoon spent sampling the signature chocolate High Tea. But once in the corridors, the cracks in the experience start to show and you’ll feel the boat begin to rock. Out-of-place escalators, austere rooms and occasional glitches in the service jar with the promised five star fairytale experience. Maybe, like the best sea travellers, heavy sleepers will rest easy. But for princesses looking for a truly enchanted occasion, The Langham, perhaps even more so since it’s often regarded as Melbourne’s No.1 luxury hotel, is one castle that will need to work hard to retain its regal reputation. I have little doubt that it’s up to the challenge. *Like all AT reviewers, Lisa visited The Langham anonymously and paid her own way.